turquoise restaurant & cafe in roscoe village has been on my radar for a loooong time. but for whatever reason, it's taken me forever to get there. so when a girl's dinner rolled around (hi, mavis! ), we figured it was the perfect place to meet. i mean, come on. 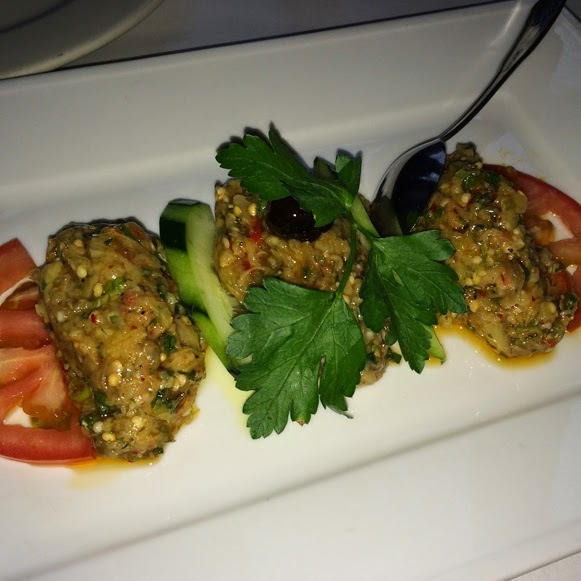 it is "mediterranean cuisine at its best." what more can you ask for? smoked eggplant, garlic, olive oil, lemon juice, scallion & roasted red bell pepper. ultra, ultra, ultra garlicky. aka, i loved it. i got a special flat bread since the kind it comes with isn't vegan ... but the one i had was delicious & (i am guessing) better than the original. romaine, cucumber, red onion, tomatoes, black olive & vinaigrette. ya know. 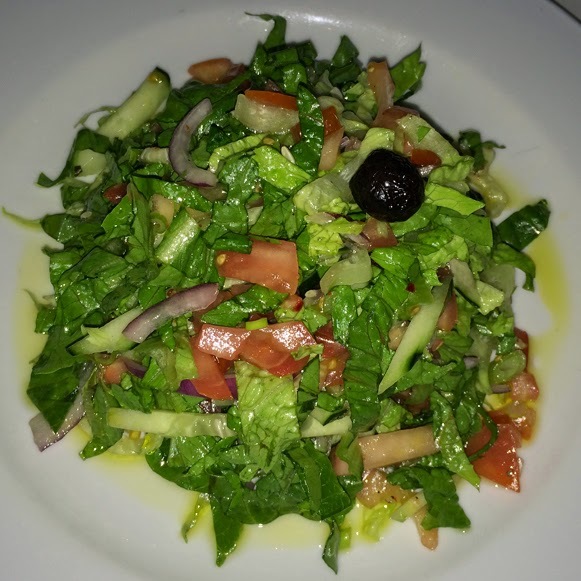 your usual greek salad. only this one was chopped! a big portion, even though it doesn't look it. i had leftovers for lunch the next day. one thing about turquoise ... it's a much nicer restaurant than i originally thought. i mean, white table clothes & fancy water glasses. i think it'd be the perfect spot for an easy date night.